This scheme of reform was formulated by Sidath Wettimuny and his Interim Committtee way back in October/November 2015 about two months before their term was over. 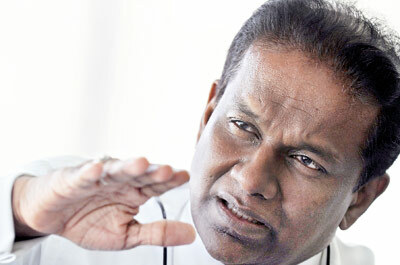 Sidath received guidance from Prasanna Jayawardena, an eminent lawyer (PC). 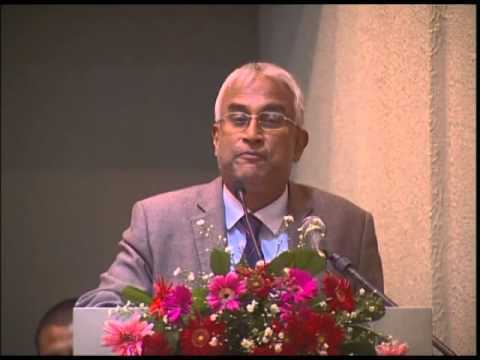 It is based on studies of the South African and Irish constitutions which were recommended by the ICC (to Sidath) as a good basis for a new constitution. Sidath spoke to both Presidents of those respective countries while he was at the ICC meetings and got their views.It was presented to Ranil Wickremasinghe and his Sports Minister, Dayasiri Jayasekera (according to the Sunday Times, 17 July 2016). It appears to have been pigeon holed. Recommend the manner of achieving the necessary reforms by: (a) incorporating SLC [which is presently an Unincorporated Association]; (b) introducing a better electoral process; and (c) improving the management structure of SLC. 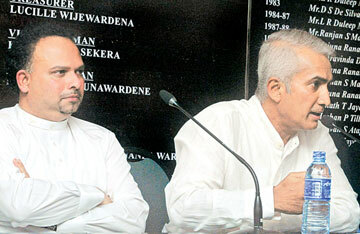 With the Sports Minister calling for elections to Sri Lanka Cricket next month it is only a matter of less than two months before the interim committee headed by former Sri Lanka Test cricketer Sidath Wettimuny will cease to function. Unlike some similar committees of the past Wettimuny and Co can leave with their heads held high.When the interim committee took over on April 1, they started with a Rs. 207 million overdraft and owed US$ 7.8 million to the ICC and the Bank of Ceylon. “I can proudly say that today we have over Rs. 200 million in the bank plus another US$ 4.6 million in reserve with the ICC to come. It’s a very healthy financial situation,” said Wettimuny. He also revealed that the amount they owed Bank of Ceylon has been brought down to US$ 370,000 which they plan to pay shortly. 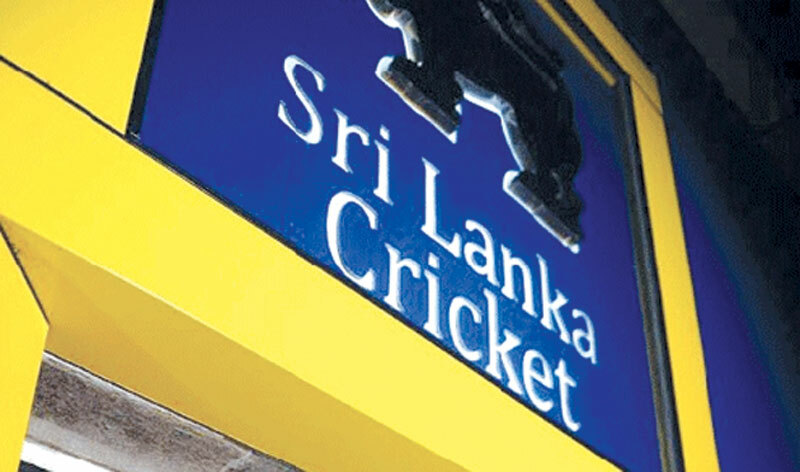 In government’s bid to revamp the Sri Lanka Cricket administration, a new Interim Committee has been appointed by the Sports and Tourism Minister Navin Dissanayake yesterday. After facing huge allegation on poor finance control and debt, the former elected body was dissolved by the Minister replacing a combination of past cricketers, professionals and administrators. 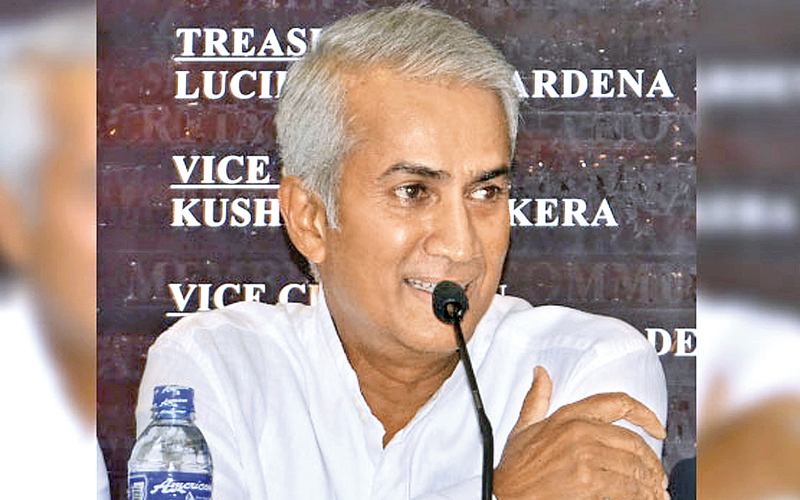 Former Test cricketer, one time Selection Committee Chairman Sidath Wettimuny, who was a two-time member of previous interim committees, has been appointed as the new Interim Committee President. 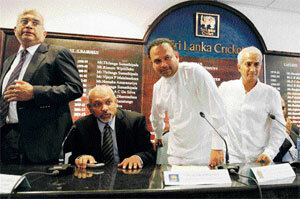 Kushil Gunasekara and former Test cricketer Kapila Wijegunawardene chosen as the Vice Presidents. Sri Lanka haven’t won a Test since Muttiah Muralidaran retired back in July last year, a run stretching over 10 matches following the draw with Australia in Kandy. The game’s administration in the country is also struggling, a permanent replacement is yet to be appointed for former coach Trevor Bayliss. The Australian departed following April’s World Cup, before the country’s sports minister dissolved the cricket administration in July amid allegations of corruption and mismanagement, while rumours continued to circulate about players who were unsure of new captain Tillakaratne Dilshan’s leadership qualities. 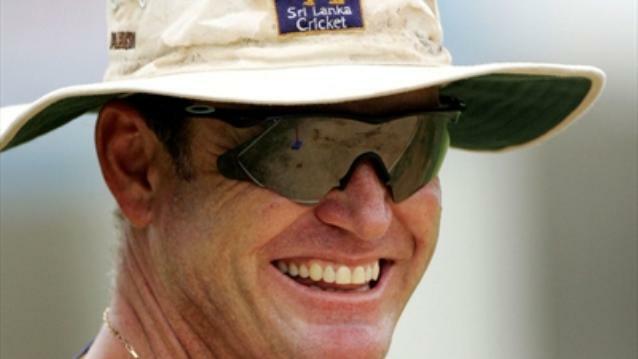 But former Australian Test player Moody, who coached Sri Lanka from 2005-07, believes getting past the departure of retired greats like Muralidaran, fast bowler Chaminda Vaas and batsman Sanath Jayasuriya will be the nation’s biggest challenge. Read the rest of this entry ? You are currently browsing the archives for the interim committees category.